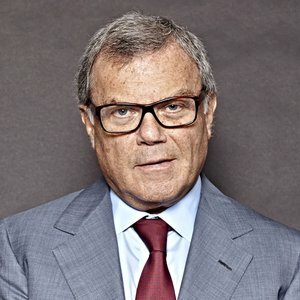 Sir Martin Sorrell founded WPP, the world’s largest advertising and marketing services group, in 1985 and has been chief executive for the last 30 years. WPP companies provide clients with advertising, media investment management, data investment management, public relations and public affairs, branding and identity, healthcare communications, direct, digital, promotion and relationship marketing and specialist communications services. Collectively, WPP employs over 190,000 people (including associates and investments) in more than 3,000 offices in 112 countries. The Group’s worldwide companies include J Walter Thompson, Ogilvy & Mather, Y&R, Grey, Mindshare, MEC, MediaCom, Maxus, Xaxis, Kantar (including Millward Brown and TNS), Wunderman, Burson-Marsteller, Hill+Knowlton Strategies, Landor, Brand Union, Fitch, The Partners, AKQA and WPP Digital. Clients include 344 of the Fortune Global 500, all 30 of the Dow Jones 30 and 69 of the NASDAQ 100. In 2014, WPP had revenues of $19 billion and billings of $76 billion. At the 2015 Cannes Lions International Festival of Creativity, WPP was named Holding Company of the Year for the fifth year running. WPP was also named, for the fourth consecutive year, the World's Most Effective Holding Company in the 2015 Effie Effectiveness Index, which recognizes the effectiveness of marketing communications. In October 2015, Sir Martin was named the world's fifth best-performing CEO by Harvard Business Review, and in January 2016 he was voted the joint “most impressive business person” in the UK by his peers.